CLC is proud to demonstrate faith in action and to help make Christ known through activities both in the church and community. Intergenerational relationships are developed through outreach and activities specific to family, fun, faith, and fellowship. Educational programs for all help us to grow closer to one another, our community, and our faith. Adult Study — Sundays at 9:30 a.m.
Education for All ages Sundays at 9:30 a.m.
High School Youth Group "THE WELL" — Sundays at 7:00 p.m.
Cradle Roll - Confirmation — This program marks the stepping stones of the baptized life with parents and their children. 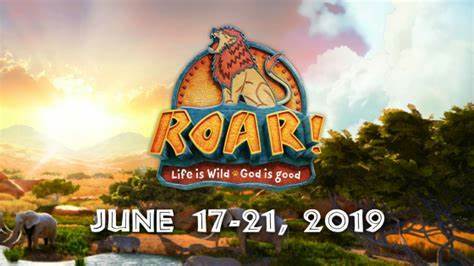 Join us for this fun-filled week where kids explore God's goodness and celebrate a ferocious faith that powers them through this wild life. Our VBS is open for children pre-school (potty trained) through sixth grade. Register today - click here for our online registration!